Dr Chandramani Jha is one of the most well known poets and lyricists of Contemporary Maithili Poetry. He has a dozens of books to his credit. His English translation of songs of Mahakavi Vidyapati has received widespread appreciation. 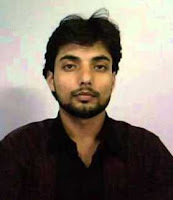 Translator : Bhaskar Jha is a trilingual poet, published nationally and internationally. 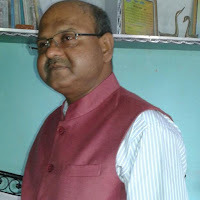 Ayodhyanath Choudhary , an M.A. (English) is a writer of Anthology of Poetry- 2, Short story collection- 1, Collection of Lyrics- 1,Collection of Essays-1 (in Maithili), in addition to a number of poems and short stories published in different journals and magazines in English, Hindi and Nepali. 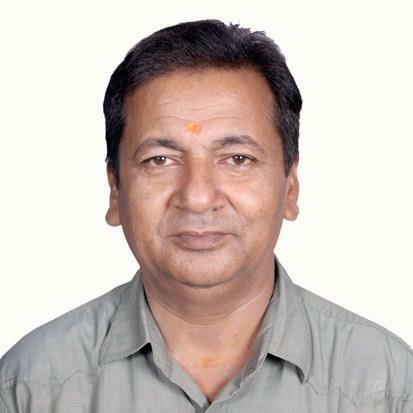 He has been awarded for contributions in Maithili Literature at regional, national and international levels. 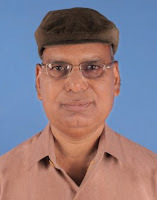 Taranand Viyogi is a Maithili writer who is known for his works in different genres. As a poet he has two collections; Pralay Rahasya and Hastakshep. Apart from that he also writes short stories and non fictions, most famous among them is a book called Tumi Chir Sarthi, which is about his experiences with one of the most famous Hindi and Maithili writer Yatri Nagarjun. He also delves into criticism(Karmadharay, Bahuvachan) and Children Literature(Ee Bhetal ta ki bhetal) for which he won the Sahitya Akadami award for children literature. His latest is a memoir on Rajkamal Chaudhary in Hindi called Jeevan Kya Jiya. He is currently working on a critical biography of Yatri Nagarjun. Translation: Prabhat Jha is a writer, translator who writes in English. His works have been published in Muse India, Odd Magazine and Anti-Serious. He also is the co-editor of a Poetry Journal called Collage. In Translation he is working on a collection of poems written by Taranand Viyogi which will be published soon. 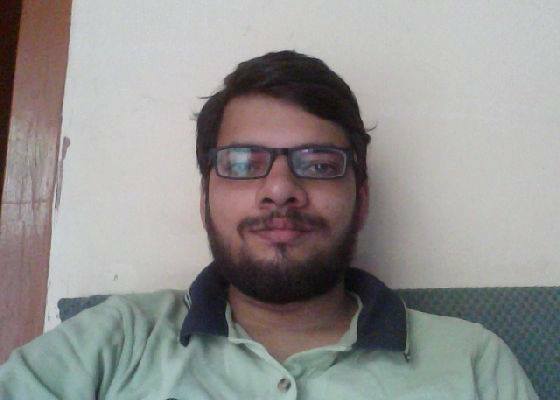 Chandan Kumar Jha is one of the strongest voices of Contemporary Maithili Poetry. A prolific writer, he has to his credit six books of poetry in Maithili. He is a recipient of Sahitya Kademy for his anthology of poems “Dharati San Akash Dhari”. 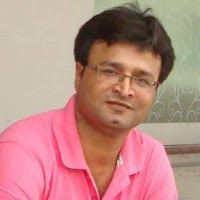 Bhaskaranand Jha Bhaskar is a trilingual poet (Maithili, Hindi and English), short story writer, critic and reviewer, based in Kolkata. He is regularly published in various national and international magazines, both printed and online. He writes poems sometimes with heart, sometimes with brain and sometimes with both. He uses catchy lines, expressions and images. In his poetry, social issues, romance and love are tackled with equal passion. Resonant with profound spirituality and intricate mysticism his poems are stunning and enlightening, buoyant sometimes and intense at other times and always have a deep meaning beautiful enough to touch hearts of avid readers. One of his poems on Nelson Mandela has been included in the academic syllabus prescribed for the school students of Philippines. He is also a contributor to Epitaphs, The Criterion: An International Journal in English, IJML(International Journal On Multicultural Literature), and The Anvil (Forum of Literature & Academic Research in English). He is also a part of several anthologies like ‘Purple Hues”, “Whispering Winds”, “Just For You, My Love”, “Heavenly Hymns”, ‘I Am a Woman”, “The Significant Anthology”, “Umbilical Cords”, A- Divine-Madness (Five Volumes), Poetic Prism-2015 & 16, Searching For Sublime (Australian-Indo Poetry), She the Shakti etc.